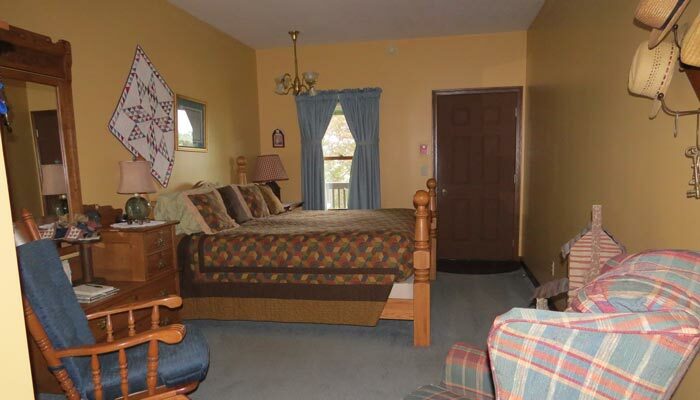 Spacious room located on main floor. Oak Amish made Cannon Ball King bed with Amish quilt. Antiques. P. Buckley Moss Art. Private bath with tub/shower combo. Central A/C, WIFI. Window and entrance directly onto huge porch overlooking historic log cabin and small lake. Adult guests only. Maximum Occupancy: 2.